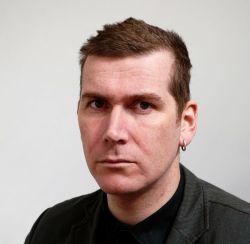 Bedwyr Williams often draws upon the quirky banalities of his own autobiographic existence to develop his sculptures and performances. 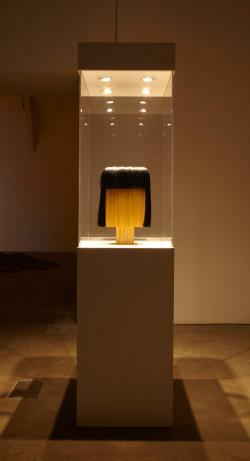 His work merges art and life with a comedic twist that is instantaneously sympathetic and relational. 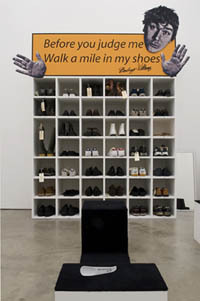 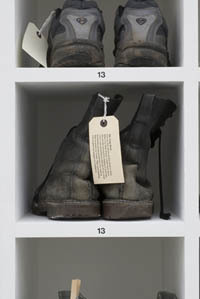 In Walk A Mile In My Shoes, Williams presents a display case boasting 45 pairs of used shoes. 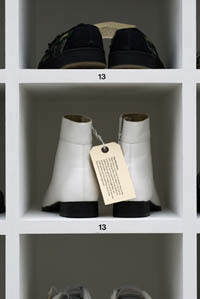 Not just any old footwear however – each bootie is Williams’s own whopping size 13. 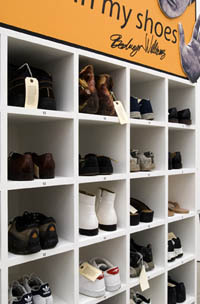 Inviting the audience to share in his own problematics of podiatry, viewers are encouraged to try the gear on: an act that invariably relays the humour and embarrassment of floppy footed clowns and sasquatch clumsiness. 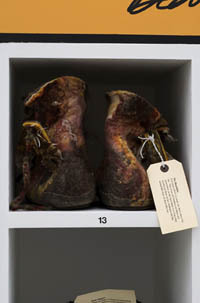 The importance that each pair of shoes was purchased second hand underlies the key themes of Williams’s piece – with the knowledge that there are at least over 40 other Hobbit-pawed souls in the world – Walk A Mile In My Shoes celebrates diversity, inclusion, and community; through the simple practicalities of footwear, Williams extols the values of tolerance and individual difference.